A balanced diet is one that gives your body all the nutrients it needs for proper functioning. This includes fresh fruits and vegetables, whole grains, legumes, nuts and lean proteins as a majority of your daily calorie intake. Calories are basically the amount of energy stored in the food you consume. These calories enable you to perform everyday activities and important functions like breathing, walking, thinking etc. On an average, a person must consume about 2000 calories to maintain their weight and in general men and anybody who exercises needs more calorie intake. Where you get calories from is just as important as your calorie count. Empty calories should be limited in consumption as they have almost no nutritional value. Empty calorie foods sodas, pizza, cakes, energy drinks, cheese etc. 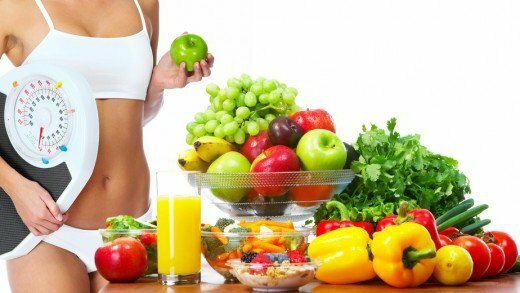 Proper nutrition is important for ensuring effective functioning of tissues and organs. Lack of nutrition makes the body more prone to diseases and infections. It also means lowered performance, fatigue and lowered growth rate. Poor diet and lack of exercise is responsible for so many life threatening condition. When the body gets its daily dose of essential nutrients, it performs better and all organs function normally. This keeps you in good mental as well as physical health and reduces your risk of diseases and infections as your immunity levels remain high.